Usually, such environments have five different components: clients that submit problems to servers, servers that solve problems sent by clients, a database that contains informations about software and hardware resources, a scheduler that chooses an appropriate server depending of the problem sent and the informations contained in the database, and finally monitors that get informations about the status of the computational resources. In DIET, a server is built upon a Server Daemon (SeD). We have a hierarchical set of agents including Leader Agents (LA) and Master Agents (MA). Now we detail the basic functionalities of these different component. The workflow support in DIET includes three modes, that can be used. These three modes can be represented by two architectures which are presented bellow, and can be used in the same platform without conflict. 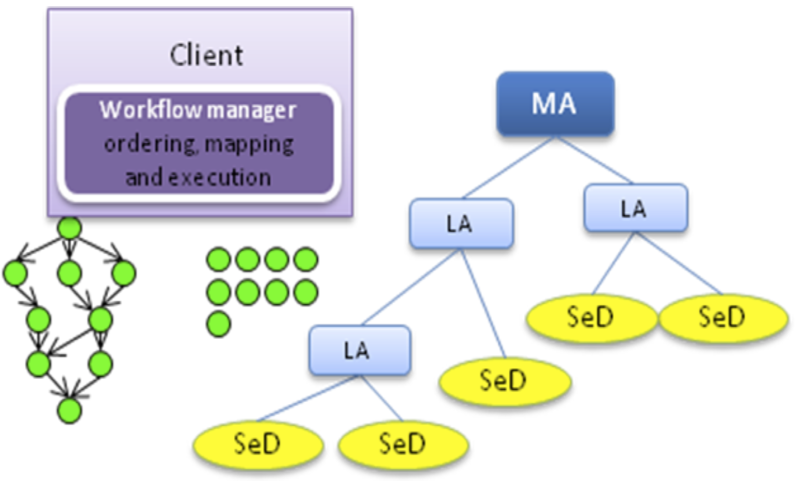 The first mode provides a workflow manager in the client side. 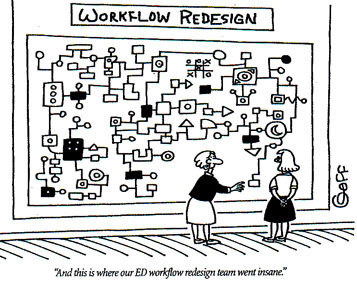 in the first it defines a complete scheduling of the workflow (ordering and mapping). 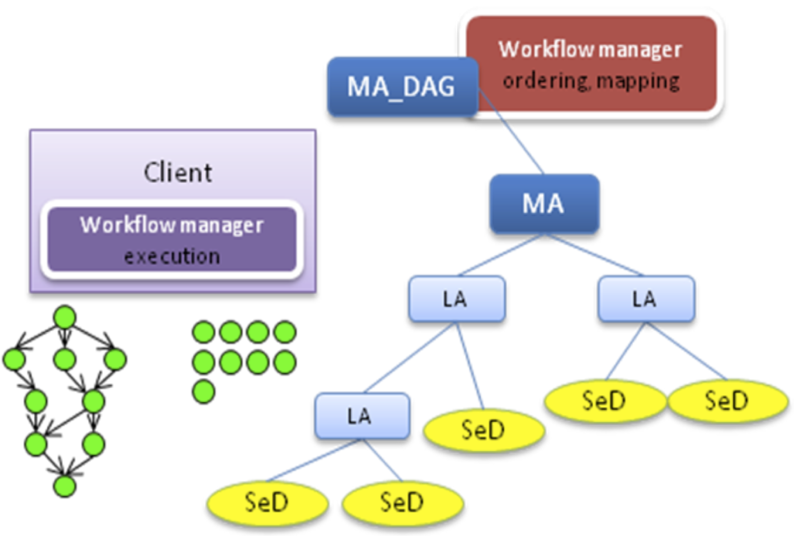 while in the second it defines only an ordering for the workflow execution, the mapping is done in the next step by the client which pass by the Master Agent to find the server where execute the workflow services.